HDV video, colour, ratio: 16/9, with sound, duration: 20 min. HDV video, colour, ratio: 16/9, with sound, duration: 4 min. A young archaeologist working as a tourist guide is in a dark space with an engineer controlling the light and an imaginary group. She would like to rehearse her tour of the Jewish catacombs of Rome. 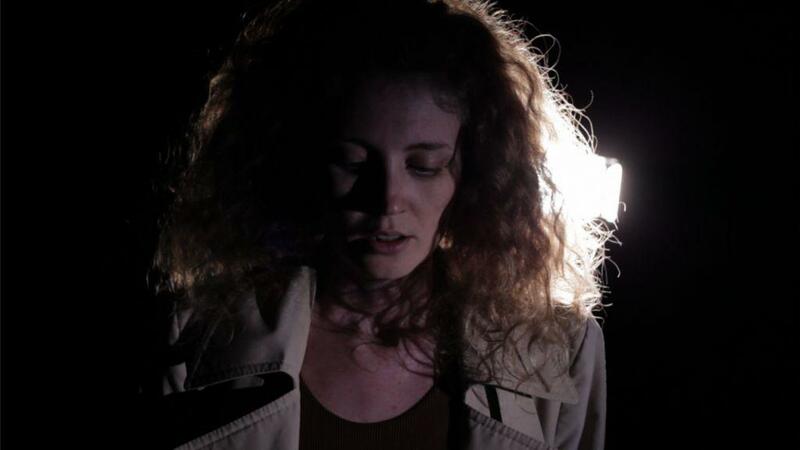 The scene becomes a monologue of the young woman, in which she mingles fragments of the history of the Jewish catacombs with thoughts on her appearance and instructions to the lighting engineer. The narration hovers between a stage play and the real historical site. 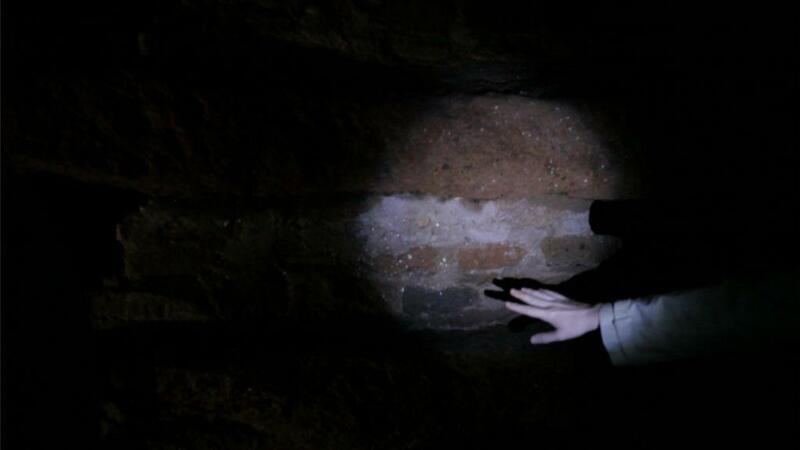 The viewers are told that six Jewish catacombs have been found in Rome until now and that a part of this catacomb was discovered in 1918 during renovation work beneath the stables of Mussolini’s residence in the park of Villa Torlonia. One also learns about or at least gains an impression of the framework conditions of historical narratives between tourism and private economy. The film I, an archeologist offers starting points to think about filmic decisions and, in a transferred sense, decisions on what can and cannot be shown at a given moment; and how history offers a different picture depending on the temporary framework conditions of its perception. 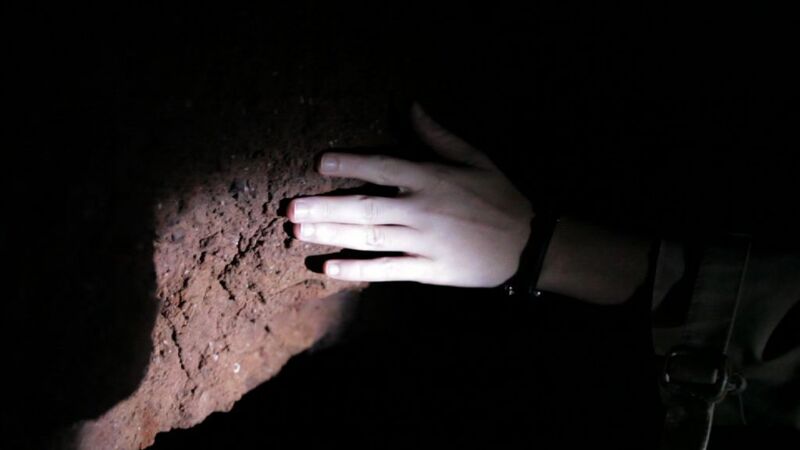 In the video Sous les Jardins, Villa Torlonia, , Maya Schweizer shows the public park of Villa Torlonia, aboveground of the catacombs. It was the official residency of Benito Mussolini in the years between 1925 and1943. Under Mussolinis conduction, an air-raid shelter against aerial bombardment and chemical warfare was constructed under the villa itself, in parts of the former catacombs. The camera observes and scales the surface, it captures details and long shots from different perspectives. 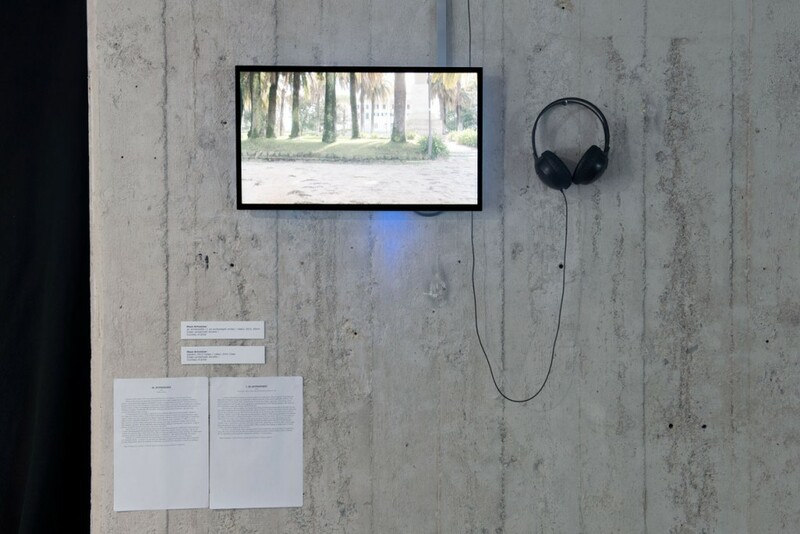 Found footage and contemporary material are superimposed into a portrait of the Villa. 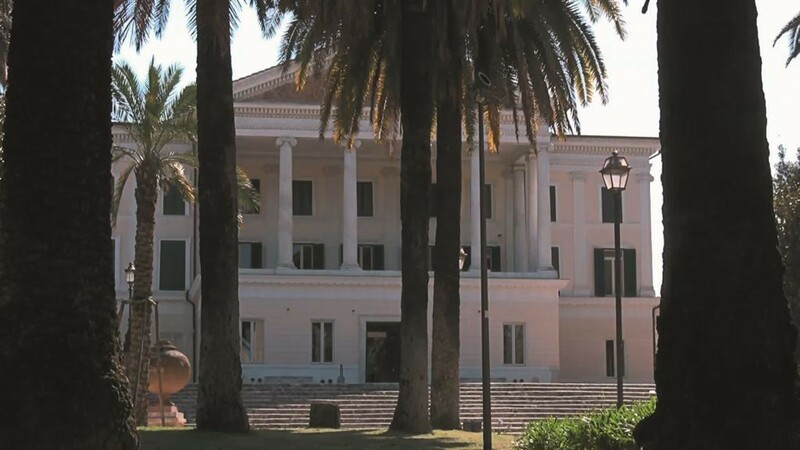 The dialogue between both films in the exhibition suggests that the Villa Torlonia itself is a puzzle piece of history which must be put into place. Maya Schweizer (* 1976 in Paris) studied art at the University of Aix-en-Provence, at the HGB Leipzig and the University of the Arts, Berlin. She lives and works in Berlin. Maya Schweizer: ›Sous les Jardins, Villa Torlonia‹, video, 4min.